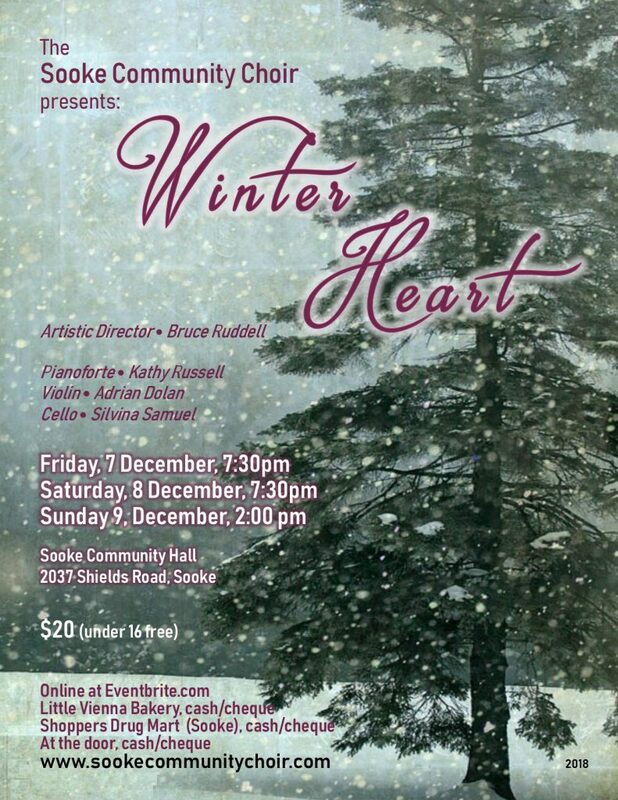 Winter Heart is full of beautiful, reflective music perfectly suited for the winter holiday season. With 50+ voices, cello, violin, piano and acoustic guitar delivering a gentle blend of classical compositions and thoughtful arrangements of contemporary popular songs you will be transported past the stresses of your daily life.. A not-to-be-missed program. The choir will be conducted by Artistic Director Bruce Ruddell and accompanied by resident pianist Kathy Russell with guest artists on cello, violin and guitar. Tickets, which you can buy online through Eventbrite, are $20, and children under 16 are free. You can also buy your tickets at the Little Vienna Bakery and Cafe, Shoppers Drug Mart, and at the door.